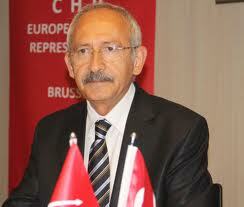 ← Kılıçdaroğlu:“We are coming to power. We are commencing our long march. We are running for power. Social democrats have carried Turkey in its European Union journey to this point. One of the most remarkable examples of the partnership of social democrats in both Turkey and the European Union is the decision taken at the Helsinki Summit of 1999. At the time of the summit, there were social democrats in power in major European countries and a coalition government led by social democrats in our country. I believe that the cooperation and solidarity of social democrats will carry Turkey into the European Union, as it was the case in the past. The first comprehensive amendment of the 1982 coup d’état Constitution in Turkey was carried out in August 2002 under the leadership of the social democrats. This change was the result of mass-based political will built on social consensus. One-fifth of the 1982 Constitution was changed through the 2002 amendment which was called “the Silent Revolution.” Fundamental articles including the abolishment of the death penalty, recognition of cultural rights and bringing new guarantees for freedom of expression were among these bold changes. In the subsequent years of the reform process between 2002-2005, CHP contributed to the passing of reform packages in the Parliament, and provided support to the creation of the political will necessary for the process. However the AKP government has slowed down the reform process since 2005 and has given up its efforts to seek compromise and hence excluded the other political parties, civil society institutions and universities. Hence,, the aforementioned reforms have remained inadequate. Had they been enough, the courts with special powers would not have been able to terrorize the public. Had they been enough, there would not be 48 journalists in Turkish prisons today. Had they been enough, the phones of millions of citizens would not be tapped and their freedom of communication would not be violated. Had they been enough, an important percentage of the electoral will would not have been left out of the Parliament in the elections. As we have announced during the process of the Referendum, Turkey urgently needs a new constitution. Abolishment of the Higher Education Council (YÖK). In short, we want to advance rights and freedoms. And we would like to realize this through societal consensus. In the process of replacing the coup d’état constitution, we aim for the new constitution to guarantee the rule of law, pluralist democracy, and the principle of separation of powers. It is true that there are important problems in Turkish-EU relations today. Mutual lack of trust is the primary reason for this. Our primary expectation from the European Union is for it to uphold the principle of pacta sunt servanda concerning Turkey’s full membership. Turkey, meanwhile, should fulfil Copenhagen criteria for full membership. Mutual trust can only be obtained through common values. To this end, CHP is devoted to developing further the partnership and dialogue with the European Union. – Playing an efficient role in the creation of trans-atlantic economic space, in establishing productive relations with emerging Asia, dynamic South America and instable Africa and hence in establishing a welfare line from Central Asia to Mediterranean. – Proving its potential to transform into a larger internal market, social model and political union in an evolving world. This is the Europe we need. In this context, CHP supports the ‘EU 2020’ vision. Our Party’s programme has been reorganised for the creation of a fair and competitive economic order. Our priorities regarding technological, ecologic and social development are in line with the EU 2020 agenda. Youth employment, vocational training and SME support lie at the heart of CHP’s new programme. These are among the priorities of Socialists and Social Democrats in Europe as well. Hence CHP is ready for cooperation regarding EU 2020 priorities. As CHP, we greatly value Turkey’s European Union accession process for the role it can play in social democratic transformation of the country. The goal of full membership to the European Union is crucial for Turkey in both reaching the desired level of welfare, democracy and development and in strengthening Turkey’s influence in the region and the world. Turkey, as a member of the European Union, would enhance its standing in regional and international platforms and widen its sphere of influence as a model country that transmits accepted Western values such as democracy, human rights, and rule of law to other regions. The AKP government, does not exhibit a concrete will to transmit universal values like democracy, rule of law and human rights required by the EU accession process to Turkey’s neighbouring states, while claiming to play a pivotal and problem-solving role in the region. CHP, on the contrary, regards it very important to pursue a coordinated policy with the EU towards its neighbouring countries like Iran and Israel. A coordinated approach in this context would not be beneficial only for the EU and Turkey but also for the countries in the region. CHP deems the effectuation of the abovementioned principles absolutely essential not only for the EU membership but also for securing the pluralist and democratic nature of the regime in Turkey. There is another important issue I would like to share with you: the gradual development of fear in Europe towards radical religious movements. We observe that this fear also plays a negative role in Turkish-EU relations. CHP, which approaches this problem on the bases of secularism and freedom of belief, provides the greatest assurance. CHP is very keen on implementing decisive policies concerning this issue. For us, the participatory principle which is an essential requirement of democracy is a “sine qua non”. In this context, we are very determined to include all the segments of the society, including civil society organisations, political parties and academic circles to the EU accession process. Unfortunately AKP seems to be resolute in excluding Turkish society from the negotiation process. We are ready to do our utmost for more transparent and participatory conduct of EU accession process. It is observed that in the post-cold war era EU has been going through a comprehensive transformation process, confronting new problems and bearing new responsibilities. CHP is ready to play its part vis-a-vis these problems and responsibilities and prepared for co-operation. Turkey’s membership would positively contribute to the current transformation process of the EU. CHP is very keen on attaining EU membership for Turkey. We would not accept anything falling short of full membership. We know that Turkey would provide a new dynamism to the EU with its geography, economic vitality and trained human power. Turkey’s full membership will be an important factor in ensuring political, economic and social stability and combating security and terrorism problems in Turkey, EU and our neighbouring region. Before I conclude, I would like to re-emphasise CHP’s will to create a common future with the EU which is the most important peace and welfare project of the world.